Here East is a new mixed-use development which re-uses the former Press and Broadcast Centres on the Queen Elizabeth Olympic Park. Here East will provide a stunning new home for the creative and digital industries. 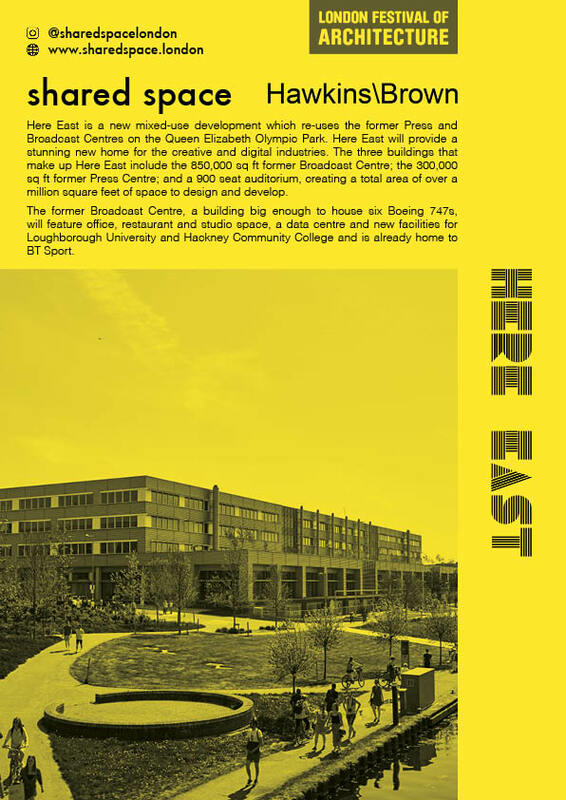 The three buildings that make up Here East include the 850,000 sq ft former Broadcast Centre; the 300,000 sq ft former Press Centre; and a 900 seat auditorium, creating a total area of over a million square feet of space to design and develop. The former Broadcast Centre, a building big enough to house six Boeing 747s, will feature office, restaurant and studio space, a data centre and new facilities for Loughborough University and Hackney Community College and is already home to BT Sport.